According to The Sleuth’s sources, the name of the man credited with making Chevrolet’s iconic sports car the success it is today will be emblazoned on the all-new 2020 Corvette, or attached to a specific Corvette model. In a radical move, the engine of the eighth-generation Corvette — referred to as the C8 — will be behind the cockpit instead of in front of it. 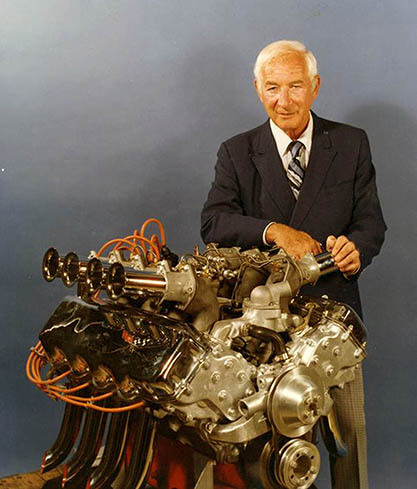 While working as a Corvette engineer, it was Arkus-Duntov’s desire to adopt a mid-engine design, but that never happened. He retired in 1975 and died in 1996. At this point it’s unclear how his name will be used, but The Spymaster’s best guess is that it will be affixed to a high-performance variant. That would be fitting since Arkus-Duntov was involved in the Corvette’s racing program. All should be revealed later this year when the C8 rolls off the factory floor in Bowling Green, Ky.